Getting out sometimes with you significant other well is sometimes just hard. Life, kids, work, well as we all know sometimes things just get in the way. Sometimes you don't even have the time to sit down for dinner, even want to cook let alone have a date night. Have you ever had date night in? Whether or not you have or have not SuperFresh® Fish is the perfect way to have one. Not to mention easy. 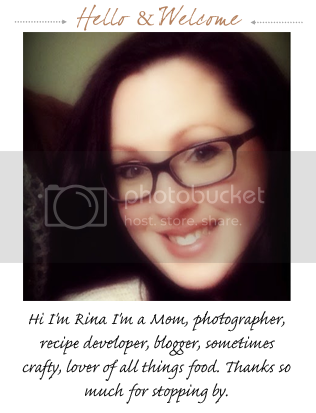 I can not tell you how easy this was to make! Super delicious your significant other will think you slaved for days or even got take out to prepare this amazing meal. All you have to do Slip the seasoned fillet into its own parchment (which they give you) and let your oven do the rest. 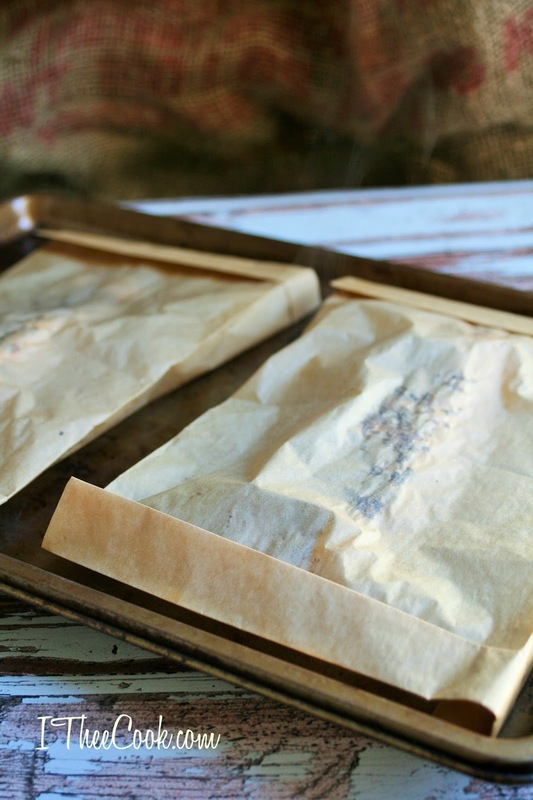 The parchment seals in every bit of juicy flavor. 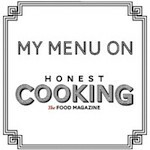 All their seafood is no mess, and no fuss; just pure perfection, time after time. 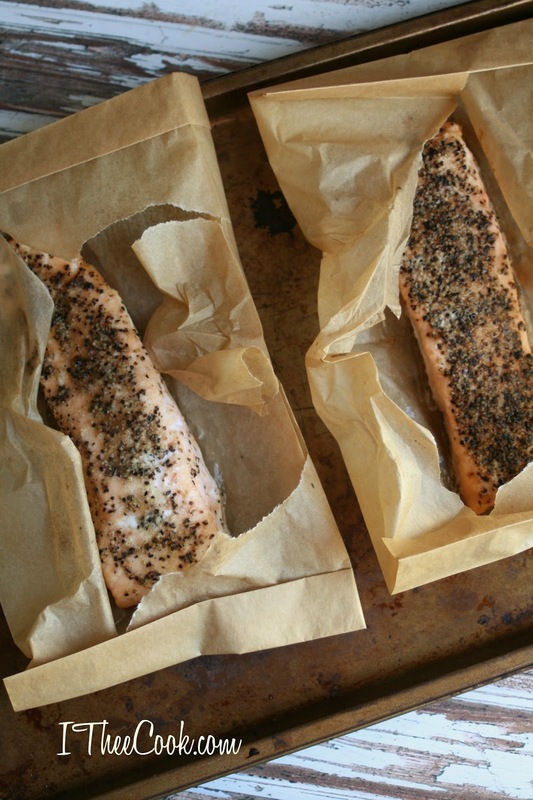 Our premium Salmon and Tilapia come with their own parchment paper baking pouch and go from freezer to table in under 25 minutes. 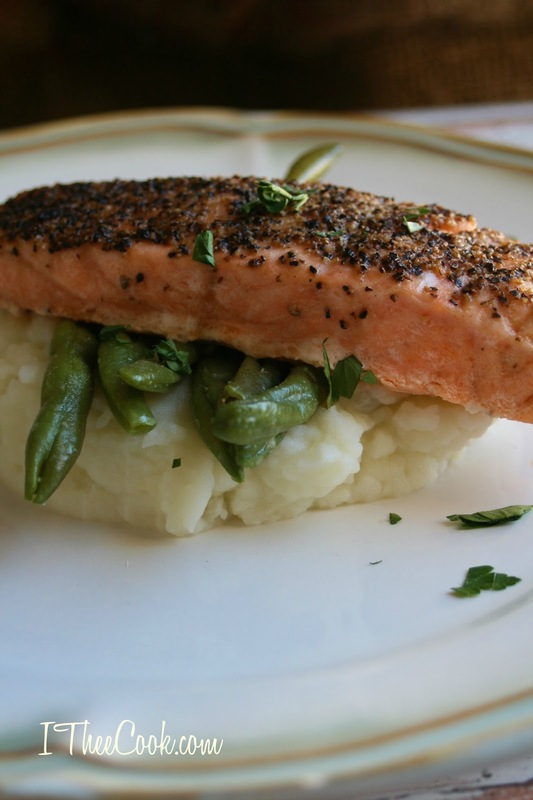 High in protein, richly seasoned with pure and simple ingredients that let our fish shine through! Now just just add your favorite sides and there you have it! You could even prep the sides the day before and just heat them up. Bumble Bee SuperFresh® raises the bar for what seafood lovers can expect from frozen food! 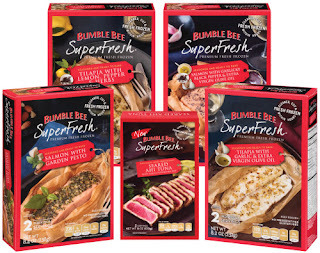 Fish Forward is their motto with all natural ingredients, Bumble Bee SuperFresh® offers the highest quality in it’s complete line of restaurant quality prepared seafood dishes. 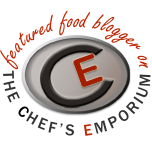 Because they have nothing to hide under heavy breading, sauces, or a long list of unpronounceable ingredients. 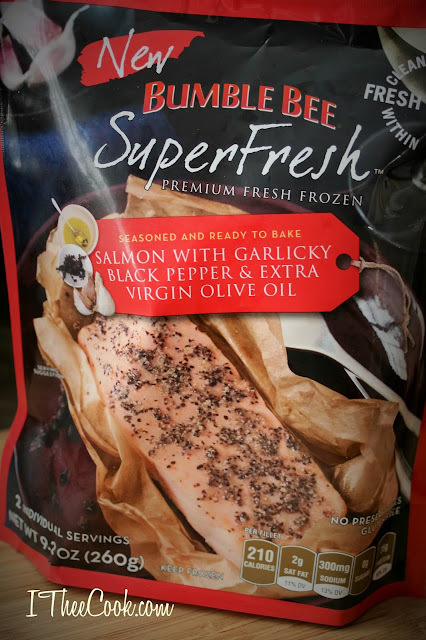 Bumble Bee's SuperFresh® delicious recipes compliment the fish that your date will never know how easy it was. 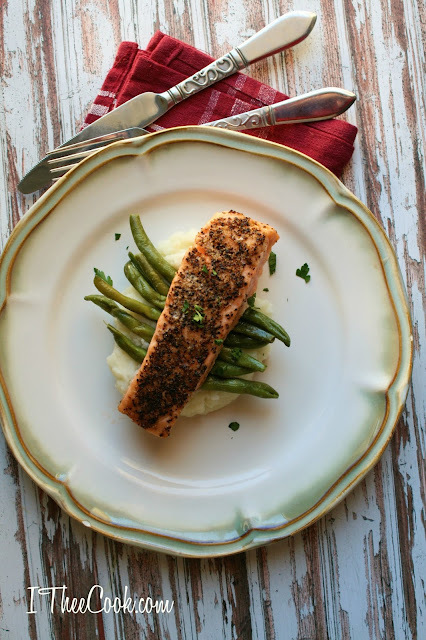 So turn the phone's off put them in a drawer light a candle and enjoy a delicious, easy and fool proof delicious and healthy date night dinner! Place potatoes in a large pot with enough water to come up 2 inches from the bottom. Bring to a boil, and cook for 20 to 25 minutes, until fork tender. Drain, and mash. Mix in the milk using a potato masher or an electric mixer until fluffy. Slice the butter and add each piece mixing well. Stir in the sour cream, salt, pepper and garlic powder mix well. 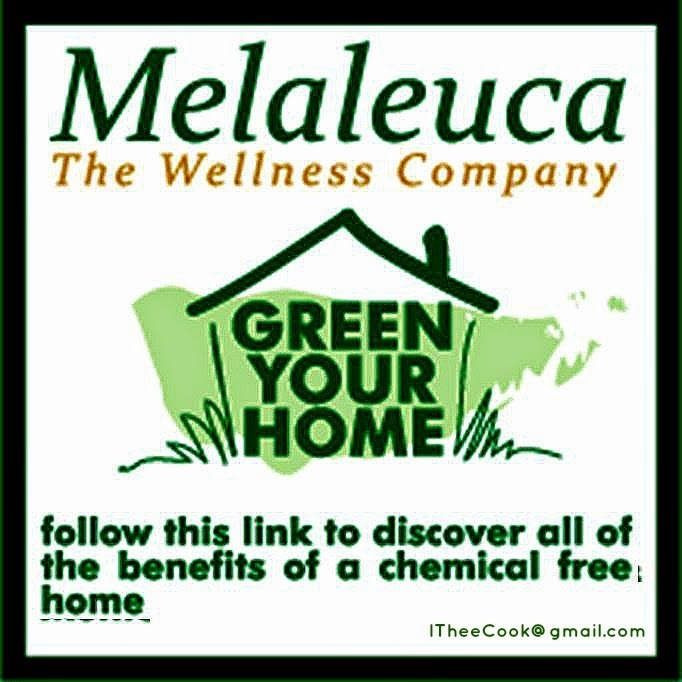 Bring a large pot of water to a boil over medium heat. Add the vegetable bouillon cubes. Add the beans and blanch them for 2 minutes. Immediately remove the beans from the water and add them to an ice bath to stop the cooking process. Drain. In a large saucepan, heat the olive oil over medium heat. Add the garlic and green beans. Cover, and cook for 5 minutes, stirring occasionally. Uncover, then stir in the onion powder, and salt and pepper, to taste. 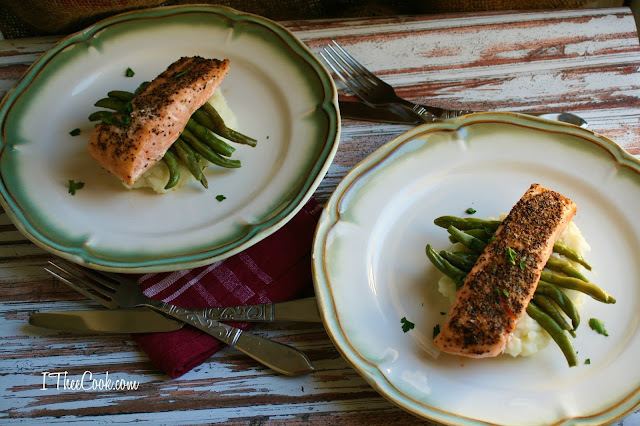 To assemble plate the mashed potatoes, add a layer of green beans and top with the salmon. 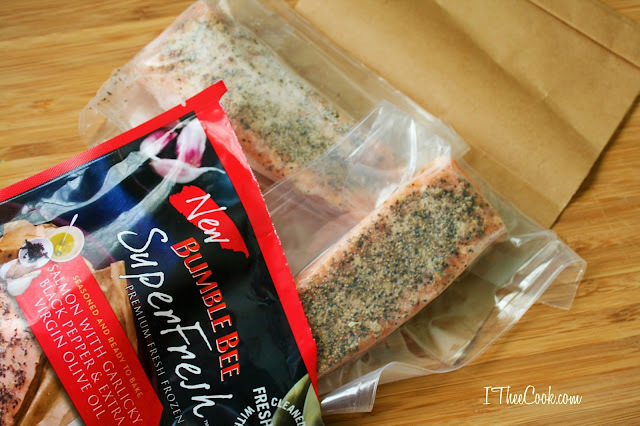 Visit the Bumble Bee SuperFresh® website for a money saving coupon today!